How Much Money Can You Get for ‘Miracle on Ice’ Memorabilia? The Olympic Games are the ultimate representation of competition. Every four years, athletes from around the globe meet to face each other in an event that’s bigger than themselves. They train their whole lives for this moment; putting in the blood and sweat for the chance at individual glory and pride for their home country. Not everyone has what it takes to be a part of this timeless experience. In fact, that’s putting it lightly. Most people don’t have what it takes to compete at this level. And since that’s the case, it only makes anything associated with the games that much more valuable. Olympic memorabilia has always been a hot-ticket item. Perhaps it has something to do with the exclusivity of the Olympic family. Or maybe it’s all about the nostalgia that comes from a connection to past greatness People pay big money to be a part of history. For example, in 2012, the Breal’s Silver Cup — the winner’s cup presented to Spyros Louis after he won the first Marathon at the inaugural Modern Olympic Games in Athens in 1896 — sold for an incredible $861,129 at an auction held by Christie’s. Of course, that’s small potatoes compared to the $1.47 million paid by Pittsburgh Penguins co-owner Ron Burkle for one of the gold medals Jesse Owens won at the 1936 Olympics in Berlin. Then again, not only did he win four medals at these games, but he accomplished this feat with Adolph Hitler looking on as the host. What guts it must’ve taken to stare down the face of hate and go on to cement your immortal legacy. These are the moments we cherish. These are the times we feel most connected and proud. 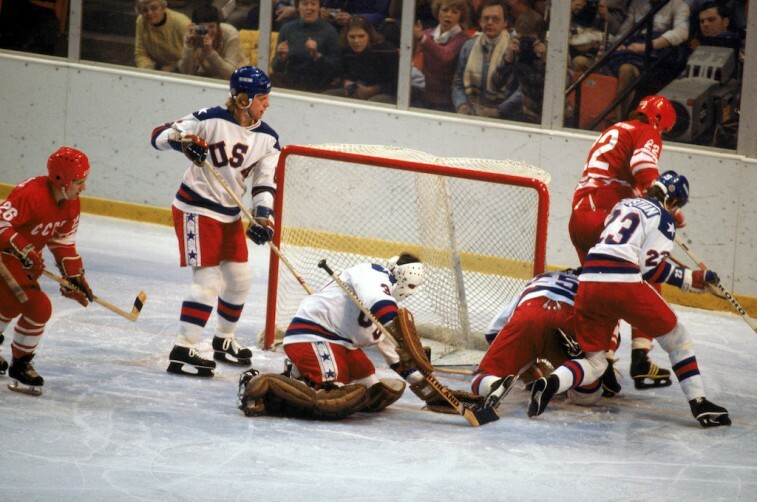 And for the American people, no Olympic moment exemplifies this more than the “Miracle on Ice” game. When the United States Men’s Ice Hockey Team defeated the Soviet Union at the 1980 Olympics, it was like David slaying Goliath. This unlikely outcome united a nation and connected with people on the deepest of levels. 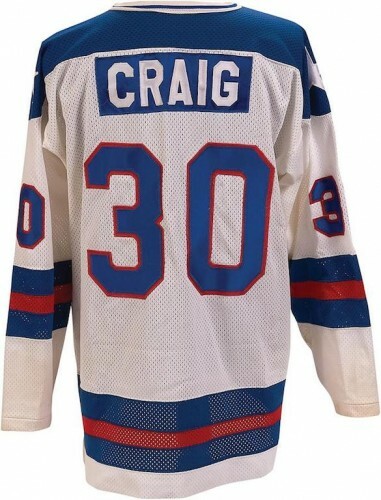 And it’s because of the incredible bond people formed with this group at these games, that the starting goalie of that U.S. team, Jim Craig, hopes his memorabilia from the 1980 Olympics can meet his remarkable asking price of $5.7 million. If you feel a deep rooted connection to the “Miracle on Ice” and have a boatload of money to spend, you might be wondering what Craig is offering up. This is one 19-item lot, that happens the jersey he wore against the Soviet Union, his gold medal from the 1980 Games, and the American flag that was draped over his shoulders after defeating Finland in the game that won it all. If this seems like an incredible amount of history to be selling, is most certainly is. But as Craig put it, it’s all about his family. The most amount of money ever generated from a member of the “Miracle on Ice” group was the $657,250 that captain Mike Eruzione made from selling the jersey he wore during the gold medal game. On top of that, he also brought in a cool $262,900 from the stick he used. Craig is seemingly upping the ante with what he’s putting up for sale. Yet, he knows how much this team and game meant to a lot of people. Craig and his fellow members of the 1980 U.S. Men’s Ice Hockey Team had people believing in miracles. Now it’s time to see just how much someone will pay to bring those home. All information courtesy of ESPN.go.com, Lelands.com, and TheStreet.